Cycling is a fun way to get around, maintain good physical health, and enjoy the outdoors. Although the benefits of cycling are numerous, cycling has some risks, so take basic safety precautions while you make the most of this popular leisure activity. A helmet is an essential piece of safety gear, so it is important to ensure yours fits properly. To provide you with adequate protection, the helmet’s brim should sit level on your forehead, without impeding your vision, and its straps should fit closely but comfortably. A good helmet should last five years, but if yours bears the brunt of a nasty fall, replace it immediately. In addition to a helmet, wear long-sleeved clothing to shield your skin from the elements, knee and elbow pads to reduce impact injuries in case of a fall, and gloves to improve your handlebar grip. To alert others of your presence, wear light-coloured or fluorescent clothing during the day and reflective clothing at night. Before you take to the saddle, check that your bike's vital components are working efficiently. Pull the brakes to ensure you have adequate stopping power, inspect the wheels to confirm they are spinning smoothly, check the tires for wear and tear, and examine the frame and forks for cracks. If you cycle at night or in bad weather, ensure your lights and reflectors are fully functioning before you set off on your journey. When you use roads and shared paths, cycle with care and attention, and use basic hand signals to communicate your intentions. Ride a safe distance from all vehicles, including other cyclists. Remember that drivers of large vehicles may be unable to see you, and anticipate the movements of pedestrians, who may step in front of you without warning. Your senses are your best tools for staying safe. If you use your cell phone, listen to music, or ride with your hood up, you will reduce your awareness of important sights and sounds, such as oncoming traffic or sirens from approaching emergency vehicles. Eliminate distractions when you’re cycling and focus solely on the road. 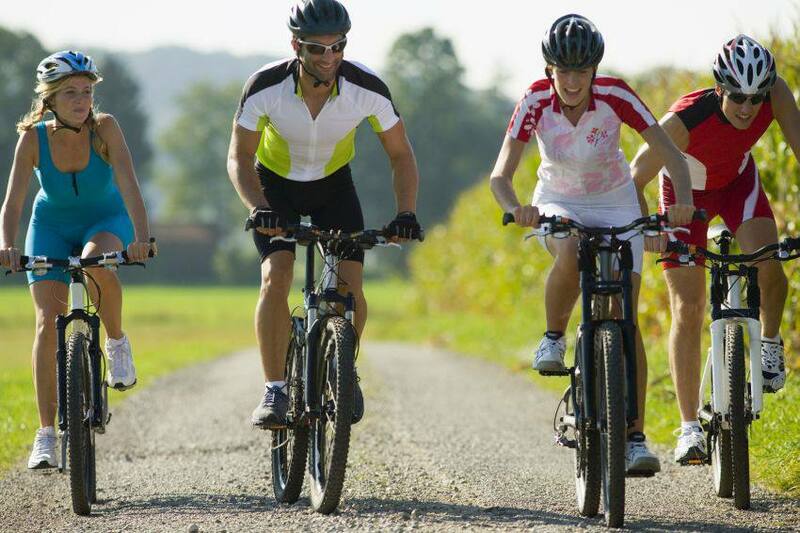 Cycling is not a dangerous activity, but if you fall off your bike, you can sustain serious injuries. To enjoy cycling without worrying about the consequences of an accident, make sure your health insurance offers comprehensive protection. Do you need travel insurance for trips within Canada? The opinions expressed in this blog are those of its authors and do not represent those of Québec Blue Cross. Material in this blog is provided for informational purposes only. It is general information that may not apply to you as an individual, and is not a substitute professional care or advice. The inclusion of any links does not imply endorsement of the linked site or its affiliates, or any information, content, products, services, advertising or other materials presented on or through such web sites.